... 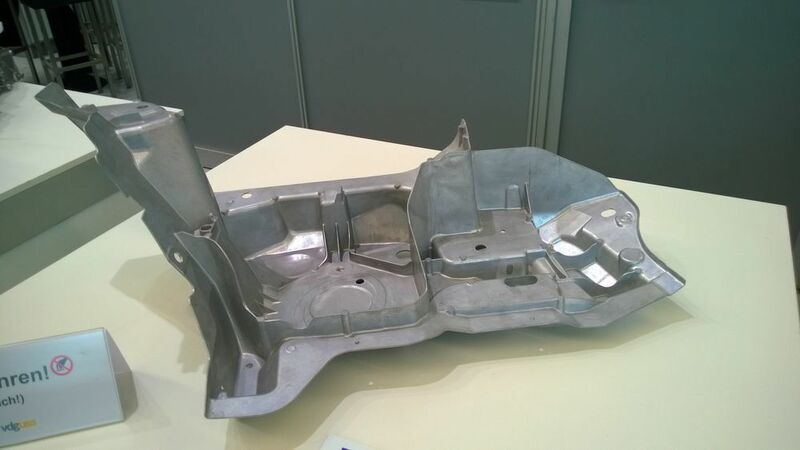 The structural component was developed with Audi for the A8. A new aluminium alloy provides higher strength. Load path-optimized wall thicknesses and ribs result in weight savings.